This is one simple recipe. All you need is the chocolate sponge cake base and ganache for frosting. 1. Grease an 18 cm pan. Line the base with parchment paper. Preheat the oven to 160 deg C.
3. Place the eggs, eggyolk and brown sugar in a mixing bowl. Whisk until creamy and fluffy. This will take about 5-7 minutes. 4. Gently fold the flour/cocoa powder mixture into the egg mixture until well incorporated. 5. Pour into the pan. Bake for 20-25 minutes or until the skewer inserted onto the center of the cake comes out clean. 5. Unmold. Set aside to cool. 3. Pour the whipping cream into a saucepan. Boil. When the sides start to foam up, remove from heat. 4. Gradually pour the hot whipping cream into the chocolate. Stir as you pour to avoid the chocolate from lumping. Mix until smooth. 5. Chill until the ganache reaches the right spreading consistency. 1. 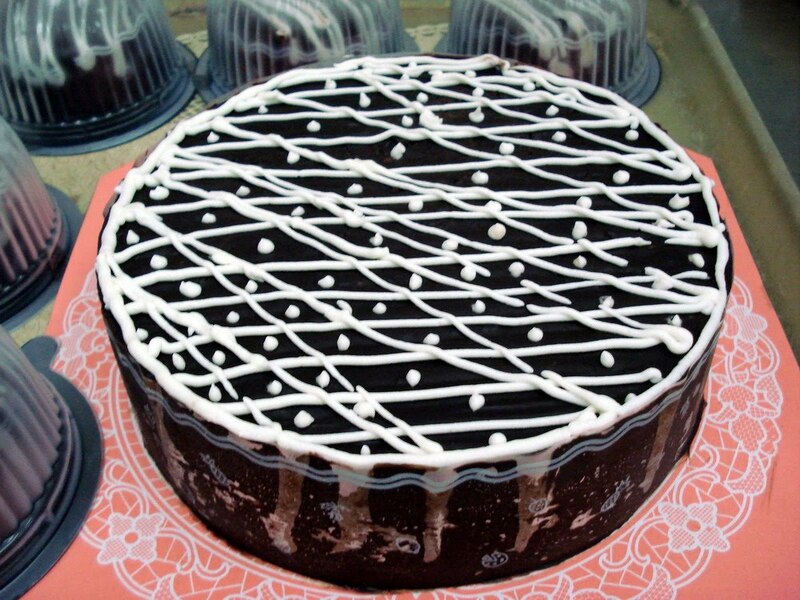 Cut the chocolate sponge cake into 2 layers. Use the base of the springform pan to guide you and cut the cake layers into smaller cakes. If you don't have springform pan, any round object will do as long as it is a bit smaller than the entremet ring. 2. Place the acetate inside the ring. These will help you achieve nice smooth sides. 3. Place the bottom layer in the base of the ring. Spoon the ganache into a piping bag and pipe the frosting around the cake. Pipe more of the frosting on top in a spiral motion. 4. Mask the cake with an offset spatula or a spoon. 5. 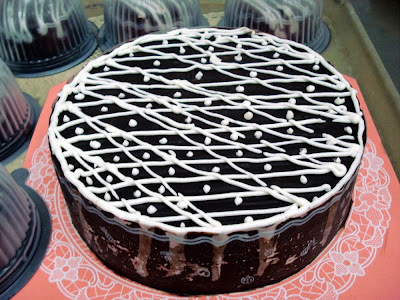 Place the top layer over the ganache. Repeat piping the ganache to cover the cake. 5. Smoothen the surface with a spatula and chill. For the decoration, you can use melted white chocolate. 1. Spoon the melted white chocolate into a piping bag. 2. Cut the tip of the piping bag. Adjust the size of the tip according to your preference before decorating. You can try to pipe on a plate to see if you have the right size. I piped a lattice design on mine. 3. Slice, serve and enjoy.